Valid for general admission for *one day* of your choice from May 2 - May 5. Lineup is the full list for the weekend, but your ticket will grant entry to see the artists playing on your chosen day of the weekend only. Maison Saint Charles is conveniently located on St. Charles Avenue, near the French Quarter and the central business district. The St. Charles Streetcar, the oldest continuously operating streetcar line in the world, runs right at the hotel's front door. The hotel is close to popular attractions, including the Audubon Aquarium of the Americas, the Audubon Zoo, Mississippi River Cruises, the Louisiana Superdome and the University of New Orleans. This hotel features an outdoor pool and hot tub. The guestrooms at the Maison St. Charles offer 32-inch flat-screen televisions, painted walls instead of wallpaper, new carpet and new vanities and free WiFi. Select rooms come equipped with refrigerators and microwaves. 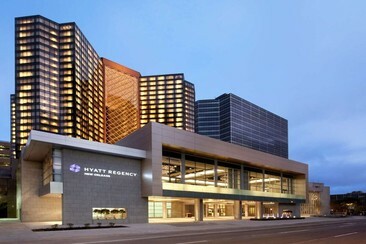 Hyatt Regency New Orleans is located in New Orleans, just steps from New Orleans Hornets and close to Mercedes-Benz Superdome. 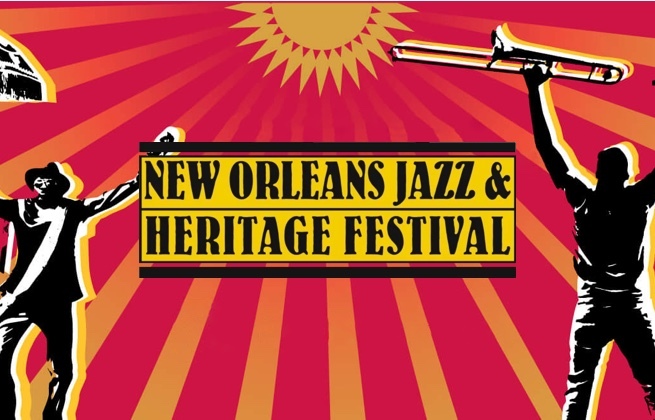 This 4-star hotel is within close proximity of Smoothie King Center and Lafayette Square. 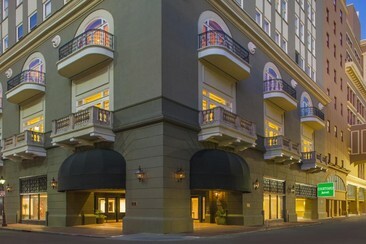 The New Orleans French Quarter district is less than 3 km from this hotel. The hotel has an outdoor pool and a 24-hour fitness center. Rooms at this hotel are furnished with a flat-screen TV, seating area, and a compact refrigerator. A work desk and complimentary toiletries are included. Many rooms offer views of the city. Courtyard by Marriott New Orleans French Quarter/Iberville is located in the middle of The Big Easy, gateway to one of the world's most legendary destinations. 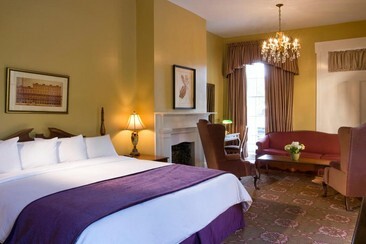 You can explore popular nearby attractions, such as Bourbon Street, Jackson Square, Saenger Theatre and House of Blues. The Central Business District and St. Louis Cathedral are 1.6 km from the hotel. The Mercedes-Benz Superdome is within 5 minutes’ drive. With a well-equipped fitness center and attentive, courteous staff, our hotel is a stylish and comforting haven amid the beating heart of New Orleans. The hotel rooms and suites appointed with contemporary amenities, including ergonomic workstations, a streaming Netflix package and complimentary wireless internet. In addition, the guest rooms feature a flat-screen TV and work desk. A coffee machine and a small refrigerator are also provided.